We represent buyers and sellers of residential and commercial properties and we are experienced with all state and local permit requirements and with IRS 1031 exchanges. In addition to purchase-related services we handle contract disputes, land use issues, and tax appeals. 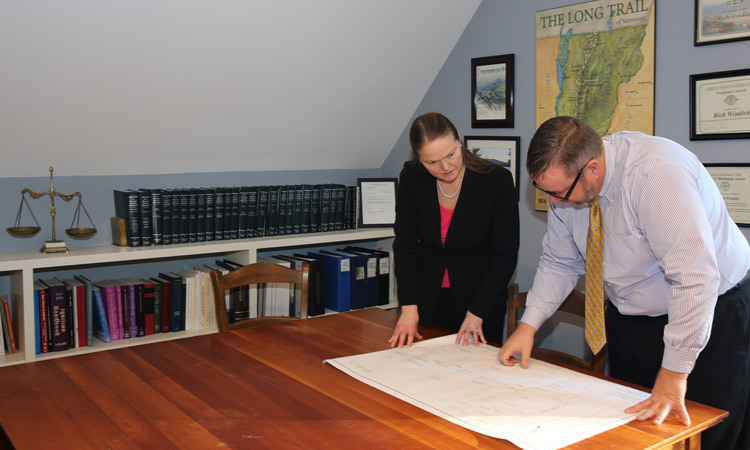 We are frequently engaged by landowners, developers, contractors, and others to handle a variety of land use matters, ranging from zoning issues to Act 250 permits.